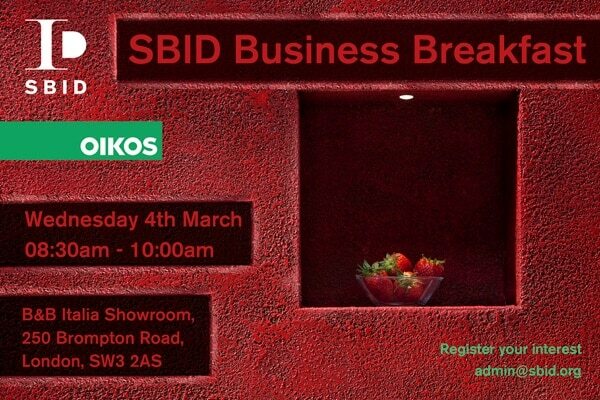 Next month’s SBID Business Breakfast will be hosted by international wall covering experts Oikos. Since 1984, the company’s path has been continuous in its evolution resulting in their redefinition of the concept of material; and has allowed for the specialised versatility of its bespoke solutions. The Oikos colours and materials are dedicated to residential and commercial uses, and ideal for use in the creation of interior and exterior spaces.